Former Deputy National Chairman of the Peopleâ€™s Democratic Party (PDP), Alhaji Shuaibu Oyedokun, has given an insight on how the ruling All Progressives Congress (APC) was able to wrest power from the PDP in 2015. Oyedokun maintained that the undue advantage, which counted in favour of the APC at the last presidential election, is now working against the ruling party. 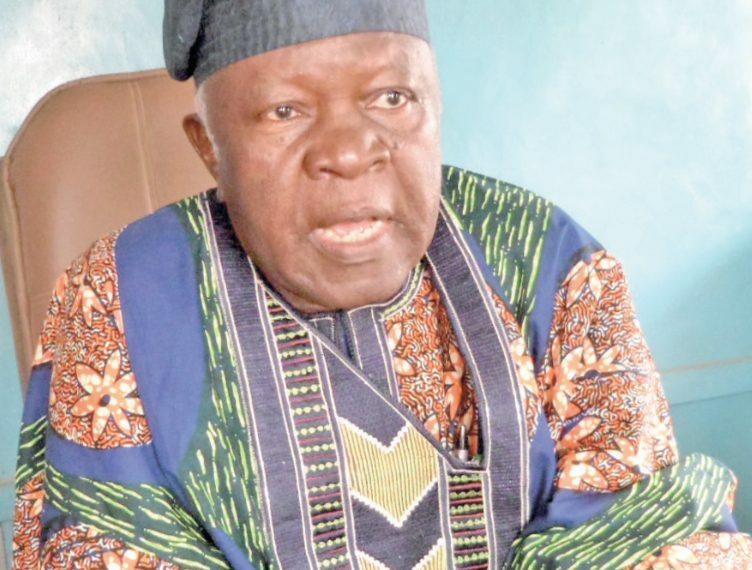 Oyedokun, who is currently a member of the Board of Trustees of PDP also allayed the fear being expressed over the ability of the PDP Presidential Candidate, Atiku Abubakar, to defeat the APC in the Southwest zone, insisting that Atiku would emerge victorious in the region. He also spoke on other major issues concerning the 2019 general elections, including the governorship election in Osun State, among others. With the 2019 elections around the corner, how prepared would you say the PDP is for the exercise? The PDP is fully prepared and that is already manifested in the fact that we had a wonderful, organized and successful presidential nomination convention where we all came together, ending up in choosing one candidate without any rancour and when all other aspirants agreed to work with the candidate, with a solid, coherent, strong party national executive and with a formidable presidential candidate, whom all others are cooperating with, that shows that we are prepared. Also, we are prepared in our readiness to organize very successful and productive campaigns to market our product, which we believe is very sellable. Many analysts have expressed the view that the leaders of party in Southwest are going to have a tough time delivering the zone to the PDP giving the fact that there is no single state in the zone under the PDP. What is your view on this? Let me start by saying that I am one of the leaders. I was able to deliver my unit and all the units in my ward and performed very well in my local government. If other leaders could do the same thing collectively, the aggregate will be more than enough. So, I want to appeal to all other leaders to stop politicking at the top alone and go back to revalidate their own mandate to their various communities. That is very important. The point you just raised is believed to be the major reason the PDP lost the recently conducted governorship election in Osun State. It is believed that PDP leaders showed more interest in the national convention which was ahead then than the Osun governorship poll and as such gave the APC undue advantage. Why do you think PDP leaders are more interested in national politics than in the states? The Osun State election is quite different. First of all, it is an isolated election. All focus for everybody was on Osun and the loss of Osun is not really a loss of the PDP; we know that PDP won that election and in winning an election, for whatever the result is, you know there are many elements involved. We are talking about PDP, we forgot the role of the umpires, even the observers and the voters themselves. In this particular case of Osun, I think our failure was largely from the umpireâ€™s side; not the role of the leaders. The leaders were very much around and they worked very hard. And you saw that even when there was a division, at the point of the election we all came together and worked very hard. We lost not to APC, not to the candidate there, but to the umpire. PDP did more in that negotiation to the â€˜brideâ€™. PDP actually did much more, but we relied more on gentlemanâ€™s agreement and morality, but it turned out to be a game for the higher bidder at that particular time and I would say it was a product of vengeance; you did me this, I have to retaliate. That was what happened. It was vengeance on the part of the bride. Going back to 2015 election, the outcome of the presidential election will remain a major talking point in the history of elections in Nigeria because unseating an incumbent president is believed to be a herculean task. Would you say the leadership of the PDP is ready to take advantage of the lesson learnt during the period to turn around things in the partyâ€™s favour next year? Our loss then wasnâ€™t much of the partyâ€™s problem; it was a product of massive disruptive use of the social media. Ever before it wasnâ€™t like that, but the APC took a pioneering advantage of the use and the effectiveness of the social media, cooked up all sorts of propaganda while we were informing and educating the electorate, the APC was busy indoctrinating the electorate. Unfortunately, the instrument they used then is now turning against them. People are now using the method they used then against them and you can see that it is becoming effective. So, it wasnâ€™t the fault of the PDP. I will also attribute it to the humane nature of the president then. The softness, lack of radicalism, lack of wickedness because what the APC is using is purely Machiavellian, which Jonathan was opposed to. Let us take his own statement, he didnâ€™t want a single drop of blood to make him retain the presidency. Thatâ€™s what he said and thatâ€™s what he believes in, otherwise, like they did in Osun, he was in a position to render the election then inconclusive. There was one of his ministers who attempted, but he called him back merely because he didnâ€™t want to allow blood to flow, which, of course, is the stock in trade of this administration. Before he got there, Mr Buhari said blood would flow; gorillas and monkeys would die or something like that. PDP is in an alliance with other political parties talking about the Coalition of United Political Parties, CUPP, which is planning to present a single presidential candidate. Do you see other political parties queuing behind your candidate in next yearâ€™s election? I think that is what my party is doing. But if you ask for my personal opinion, I will say honestly, itâ€™s a ruse. When you are mentioning other political parties queuing behind somebody, when you read the barometer that this is a winning team, all would want to come. If truly we have that type of agreement of supporting one candidate, why didnâ€™t it work in Osun State? Why didnâ€™t ADC, SDP and other parties who are in the agreement at the national level support PDP governorship in Osun? Do you mean at the main or the supplementary election? I mean at both elections. Instead of that they all presented their own candidates and they would have even corrected it during the supplementary election, but they didnâ€™t. Now we have viable person for the presidency. Well, I think if the most viable ones among them can come up objectively to and do hard work, yes Atiku is a good rallying point. A good rallying point because he has been in political associations in this country either during their formative days or when they are mature as political parties. So, he has friends all across the board that is a major advantage. In business, he has a very wide outreach; in politics he is known across all regions. Even, I wonâ€™t rule out the possibility of major stakeholders in APC coming for him and voting for him. You see surprises because for now Atiku is the only viable candidate for next yearâ€™s presidential election. He is the only one who has seen it all in this country and that can bring us the good tidings Nigerians are yearning for. Still talking on CUPP, the agreement reached by the political parties only indicated that the coalition will field a joint presidential candidate while the parties are at liberty to field candidates for other political positions. That explains why some of them fielded separate candidates in Osunâ€¦? If that is the agreement, why did they still field candidates at the supplementary election when their candidates had failed? Itâ€™s just because itâ€™s not in good spirit. The renewed peace and the seeming unity in the PDP are being trailed by some misgivings. Some are of the opinion that the pre-convention agreement, which all the aspirants were made to sign has made it difficult for them to express their grievances over the outcome of the exercise and as such going to the poll with such suppressed anger could backfire. What do you have to say on this? I donâ€™t think so. I believe the agreement is very sincere and they are all working hard to sustain it. You can see one important development. If Obasanjo could say yes, let us back Atiku and mobilising even his own coalition to support him, it means he has read the barometer and knows where the pendulum is swinging to and he is aiding it. Let me give you another interesting development. Before now, it seemed we were scattered in the Southwest here. We splinter groups. But Obasanjo has started to move to bring everybody together. Obasanjo visited Afenifere, so if Obasanjo can come in now to use his influence to unite everybody we will be able to speak with one voice, that is my belief. He has equally settled with our colleague, his son, Bode George. This is a good development. Political permutations have shown that Atiku and Buhari would share the votes from the North while the PDP candidate is believed to have upper hand in the Southeast and the South-south. The Southwest could be very dicey. What are your fears in the Southwest? May God preserve our lives. After the election may be you will ask me this question and I will stand vindicated on the fact that Atiku will win the Southwest hands down. We are seriously working towards that. You know our problem of disunity has been attributed to two things. There are some younger elements who are in power, but who donâ€™t want to see the elders, they donâ€™t want to tap from the experience and the wisdom of the elders and there a few elders too, who refuse to allow the younger ones to grow. We are working on this. We will appeal to these two extremists to let PDP be and with all we are seeing now, I believe we are putting our house in order. Atiku is a factor that can bring all of us together. He has friends in all the political parties. Those people some thought we were going to beg to support Atiku are already volunteering, making posters, preparing jingles, coming forward for meetings from every political party including APC. You will see surprises. What are your fears ahead of the 2019 elections? My fear is on one major issue and that is how far and how good will the APC government be, that will be in government to oversee the elections, will it be sincere? How far would they be honest? How far would they be truly and patriotic Nigerian. Would they allow it to go the way God had declared it. Would they allow it to go the way Jonathan allowed it? Aside all this, PDP will win and take over next year.